Alphabet (NASDAQ:GOOGL,GOOG) stock looks like an easy buy amid the sell-off in broader markets. And Google stock certainly is cheaper: it fell almost 25% between late July and mid-December. Alphabet stock has rallied since, gaining about 11% – but even here it looks awfully cheap. And so GOOGL stock has been a hot pick of late. Josh Enomoto highlighted it as a pick among the so-called FANG stocks. Wall Street still sees roughly 25% upside. Alphabet stock has struggled like other large-cap tech names – but Alphabet as a business hasn’t had nearly the same pressures. And so the sell-off seems overdone. Meanwhile, Google trades at roughly 20x 2019 EPS estimates, backing out a huge hoard of net cash, a seemingly attractive multiple. GOOGL at worst seems like the most “buy the dip” candidate among major techs and at best looks like a screaming buy. But I personally long have been cautious toward Alphabet stock. And while I’ve been too cautious on occasion, I’m still not ready to go jumping into GOOGL just yet. There are real risks here, and underlying growth is not nearly what it has appeared to be of late. GOOGL isn’t a short, and investors can do worse, but the bull case here isn’t as easy as the numbers suggest. The easiest case for Alphabet stock is that it’s sold off like its peers, but unlike those peers, it hasn’t had much reason to do so. Facebook (NASDAQ:FB) has a host of political and regulatory concerns and is increasing spending. The long-running bear case for Apple (NASDAQ:AAPL) is playing out. Amazon.com (NASDAQ:AMZN) had valuation concerns and rising competition from Walmart (NYSE:WMT), Target (NYSE:TGT), and other retailers. Netflix (NASDAQ:NFLX) traded at even higher multiples. The pullbacks for the other large-cap names have some logic. But for Alphabet, really, it’s difficult to see what changed, or what drove the 25% decline in GOOGL stock. The company is reliant on advertising; a recession would hurt growth. But it’s not as if Alphabet stock was hugely expensive even at the highs. Some sort of weakness would have made sense as U.S. stocks sold off. But a 52-week low seemed far too low and investors have since bought the dip. 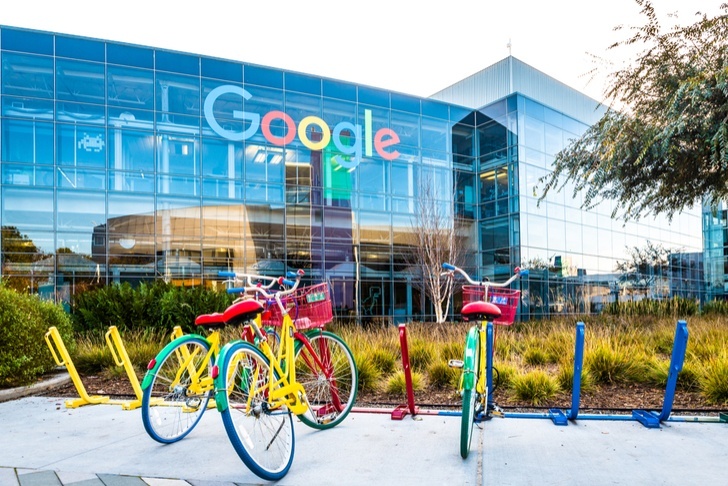 With Google trading below 20x earnings net of cash, coming off a quarter where revenue rose 21% and EPS climbed a sizzling 36%, the fundamentals were good enough to bring in value investors, not just growth buyers. Even ~11% above those lows, the stock still looks too cheap relative to its growth prospects. If there’s one big risk facing GOOGL, however, it’s that growth is not what it seems. Diluted EPS, for instance, has risen 39% so far this year. But Alphabet earnings have benefited hugely from an accounting change, which required that gains on equity securities be accounted for as other income. The IPOs of DocuSign (NASDAQ:DOCU) and Zscaler (NASDAQ:ZS), in both of which Alphabet owned a stake, have thus added significant one-time benefits to earnings. Combined with U.S. tax reform, those equity gains also have benefited the company’s tax rate. YTD, Alphabet’s effective tax rate is just 12.3%, against 18.2% the year before – a 7% boost to earnings. Looking solely at the operating business, and backing out European Commission fines of $5.07 billion this year and $2.74 billion this year, growth isn’t nearly as impressive as EPS figures suggest. Operating income, with these adjustments, has risen just 9%. Margins actually are compressing, as traffic acquisition costs continue to rise faster than revenues. Admittedly, the news is better for the Google segment, which excludes money-losing “Other Bets” like Waymo and life sciences play Verily. Even there, however, operating income has risen just 13% so far this year – and margins have fallen. Admittedly, 20x earnings and 13% growth is a reasonably attractive combination. The Other Bets businesses aren’t even included in that calculation: Waymo might be losing money, but it’s still worth billions of dollars. But this still is an advertising business, and there are risks to that growth longer-term. The shift to apps over browsers can erode Google’s traffic. Microsoft (NASDAQ:MSFT) is trying to claw back market share with its Edge. Amazon is going after the online advertising market. Alphabet already is paying up to acquire traffic that’s a problem that could get worse going forward, not better. It’s not guaranteed that Alphabet’s growth is going to accelerate. In fact, it seems more likely to slow. And if tax rates normalize, and Waymo and the rest of the Other Bets business don’t grow up into moneymakers, net income could stay near current levels for some time. To be sure, Google stock isn’t a bad investment or a short. The “buy the dip” argument here does have some logic behind it. And I’m not recommending that investors short Alphabet stock or predicting that the recent rally will fail. That said, the bull case here isn’t that simple, and the risks can’t be ignored. In a market still off the highs, there are a number of buying opportunities out there, and I’m skeptical Alphabet stock is the best one. There are worse stocks out there, but looking closer, there are better ones, too. Article printed from InvestorPlace Media, https://investorplace.com/2019/01/too-excited-dip-google-stock/.